The Rooftop Competition challenged the entrants to design and build a temporary outdoor installation to provides shade for events and student use on the third-floor terrace of the Paul L. Cejas School of Architecture building. 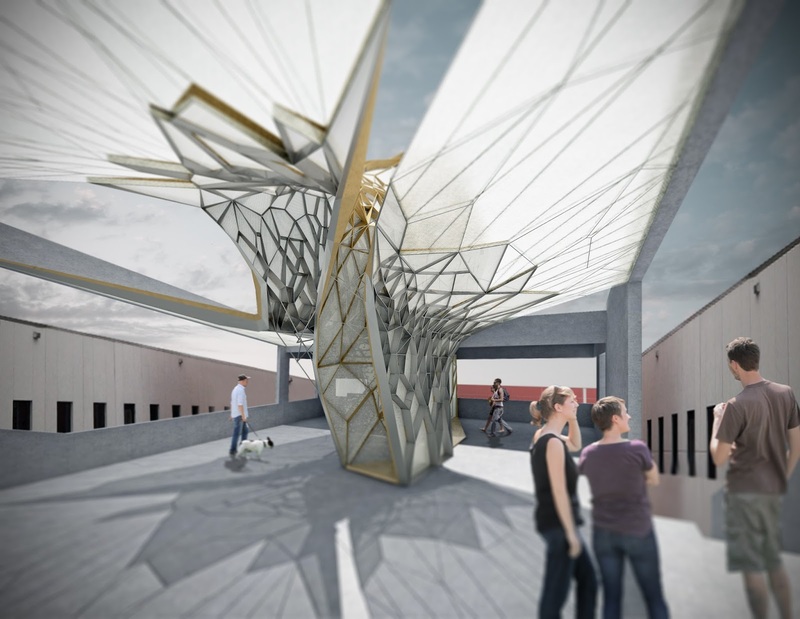 The winners of the FIU Emerging Architects Initiative Rooftop Competition are two Assistant Professors from The University of Texas School of Architecture, Kory Bieg (OTA+) and Clay Odom (studioMODO). 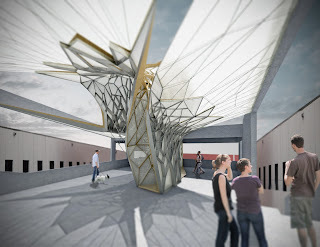 Bieg and Odom’s winning project is a canopy called “Lumifoil.” It is a collaboration between OTA+ and Studio Modo. 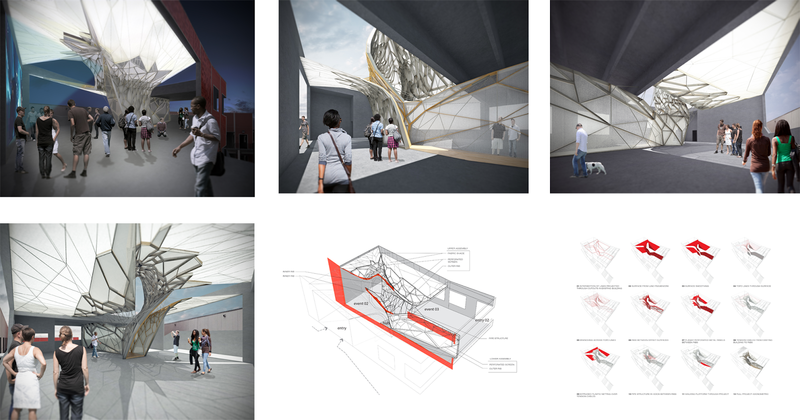 "We used mostly Rhino for the form modelling and to make the drawings and Grasshopper for the parametric ribs and surface panels," Bieg stated. Lumifoil will be installed at FIU in January 2016. For more information please contact Kory Bieg.